Aries: Jupiter strengthens luck. They get benefit from yellow color. Taurus: Jupiter controls age and social life. They should donate banana on Thursday. Gemini: Jupiter controls marriage and marital life. It is beneficial to wear gold or brass ring. Cancer: Jupiter is very strong. Jupiter decides their luck and employment. They can wear topaz by consulting an astrologer. Leo: Jupiter plays an important role for child and casual progress. They should plant banana tree and worship it. Virgo: Jupiter decides success of their marriage and career. It is beneficial to wear yellow color clothes. Libra: Their problems in life and interest relates with Jupiter. Donate banana on Thursday. Scorpio: Jupiter decides their social life, wealth and child part. They should wear topaz consulting an astrologer. Sagittarius: Their personality and balance of life depends on Jupiter. It is beneficial to wear gold or brass ring. Capricorn: Their material happiness depends on Jupiter. They should remain pious on Thursday. Donate yellow stuff. Aquarius: Their financial condition and income depends on Jupiter. They should worship lord Vishnu. Pisces: Their personality, position and prestige depend on Jupiter. They should use more yellow color. Good Luck: Visit any religious place on Thursday and worship. 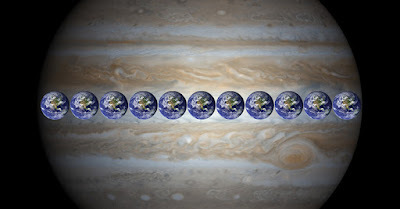 This is beneficial to get rid of Jupiter related problem.